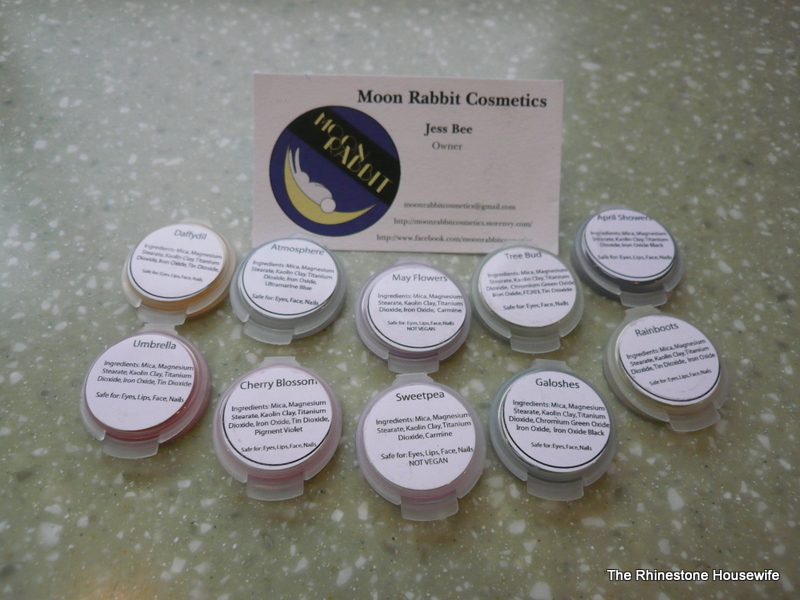 I was very excited to be able to try a brand new indie makeup company, Moon Rabbit Cosmetics. Jess was running a special for Groundhog Day and I couldn’t resist trying the colors in her new spring collection. 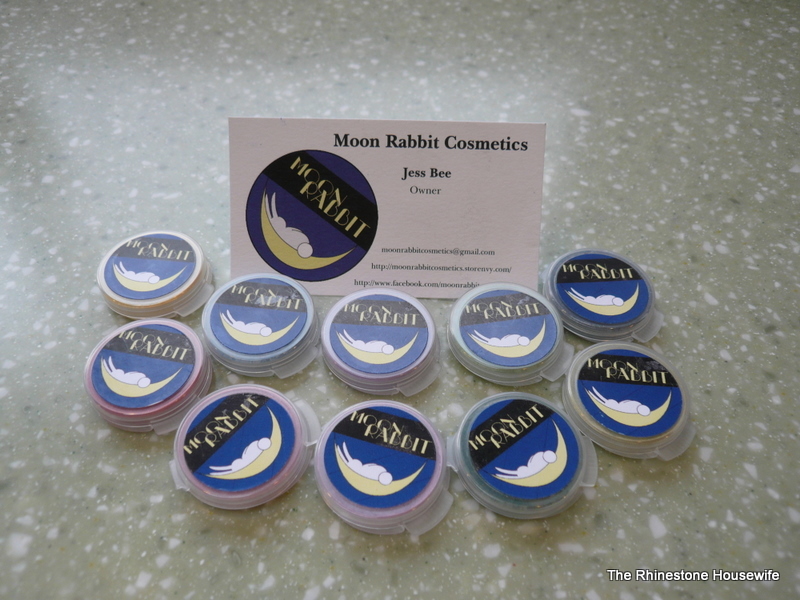 I purchased the entire sample set on 2/21/12 and received my order on 3/3/12. 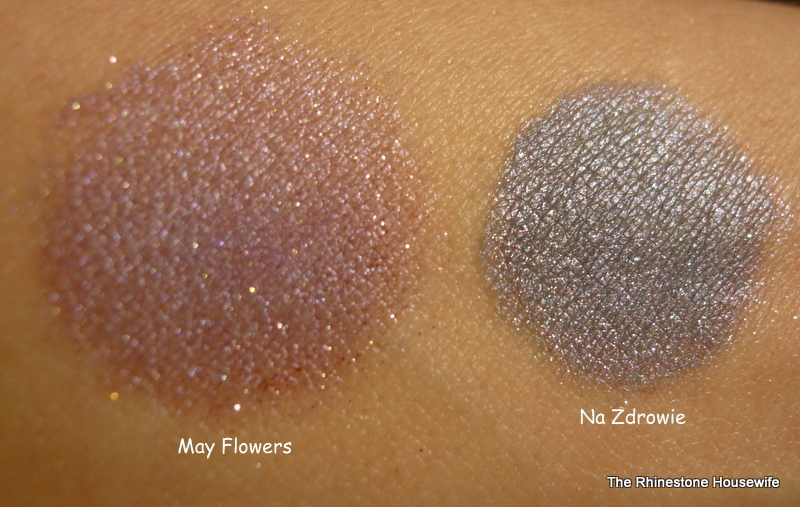 Everything came in a manilla mailer with a discount code and a free full size shadow in Na Zdrowie. I will refer to this as a ‘ninja package’ because there was no shipping notice and it was a pleasant surprise when it arrived in the mail. 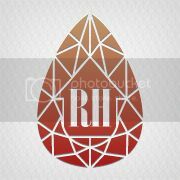 I found the pigments easy to use and they had excellent color pay off. The sample sizes come in clam shells with a generous amount of shadow. All the containers were shrink wrapped so there was no spillage or mishaps during shipping. 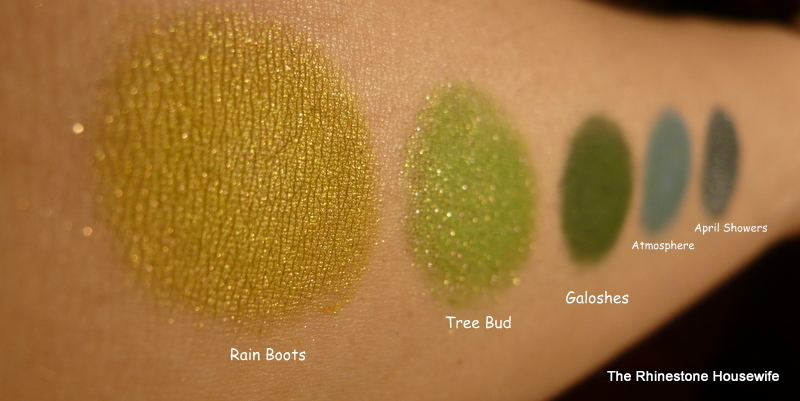 I was pleasantly surprised by several of the colors and can see myself wearing many of them on a regular basis. 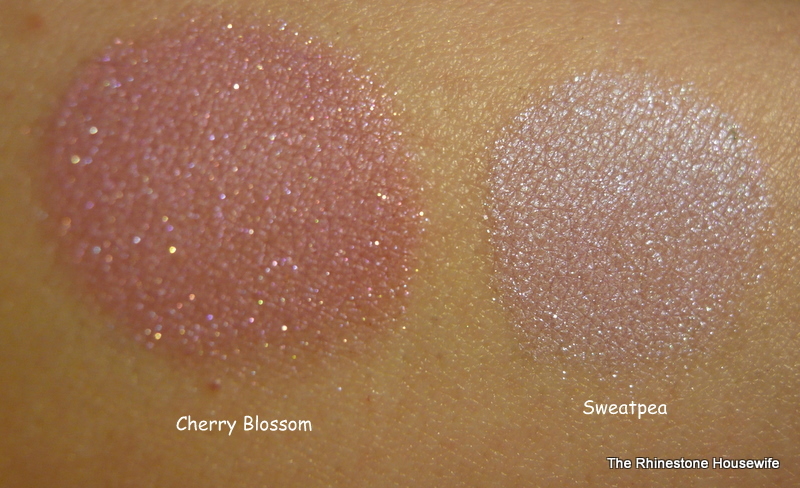 Now on to the swatches. 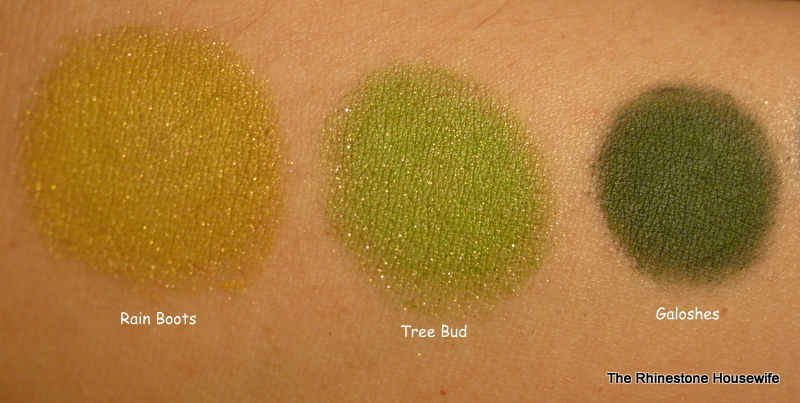 All pigments were swatched over Pixie Epoxy and photos are taken under a bright light with no flash. 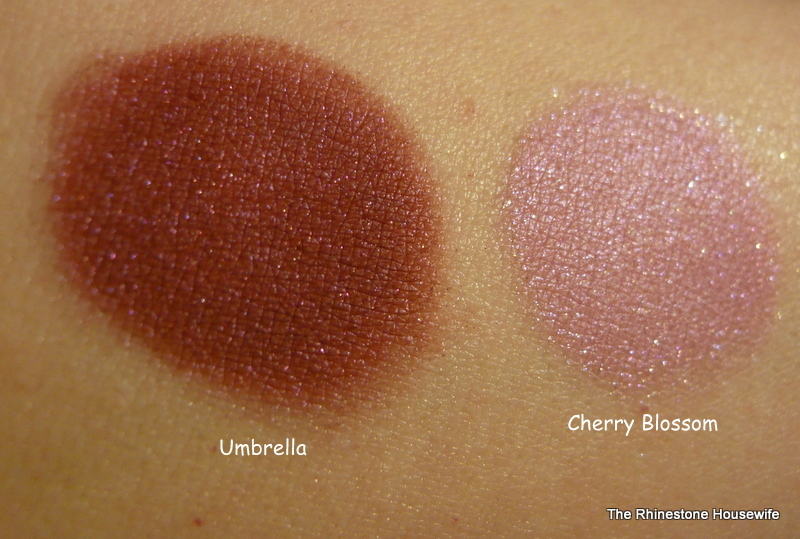 You should totally go check out Moon Rabbit Cosmetics if you like any of these colors. 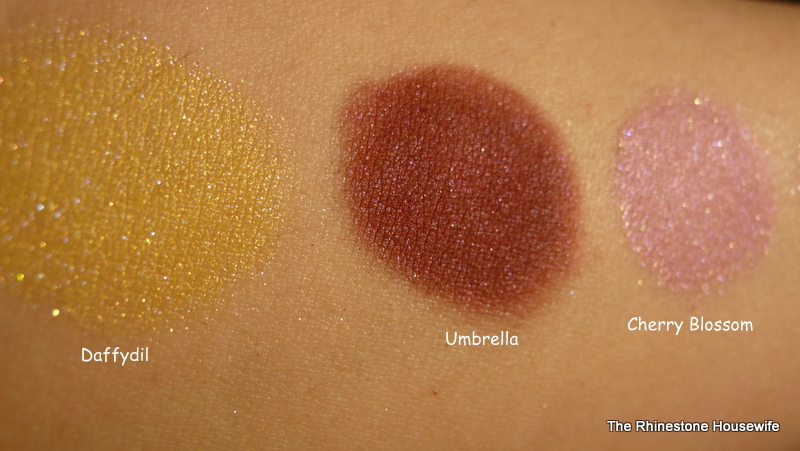 I will be featuring a FOTD using a selection of these colors tomorrow so stay tuned! I love the colors! Btw i love your cat, theres a stay cat around my house I named her Luna and she looks EXACTLY like your cat! Aww, poor little stray kitty. I have such a soft spot for them. Don’t let Gimlie’s cuteness fool you….he’s quite the little trouble maker! I’m actually really allergic to cats but I can turn her away, she even had kittens and theyre all grown up now 🙂 theyre best friends with my two dogs haha, and those cats are too! 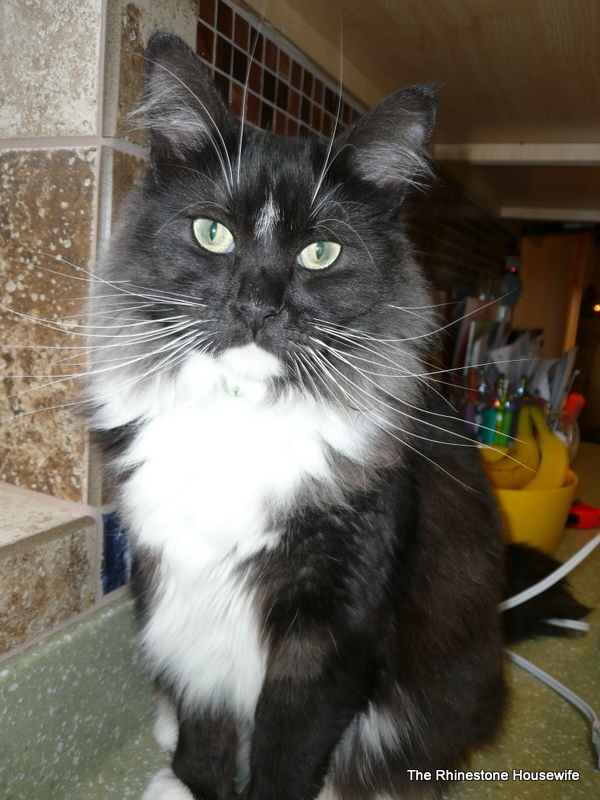 First things first…….gorgeous cat! She’s adorable! 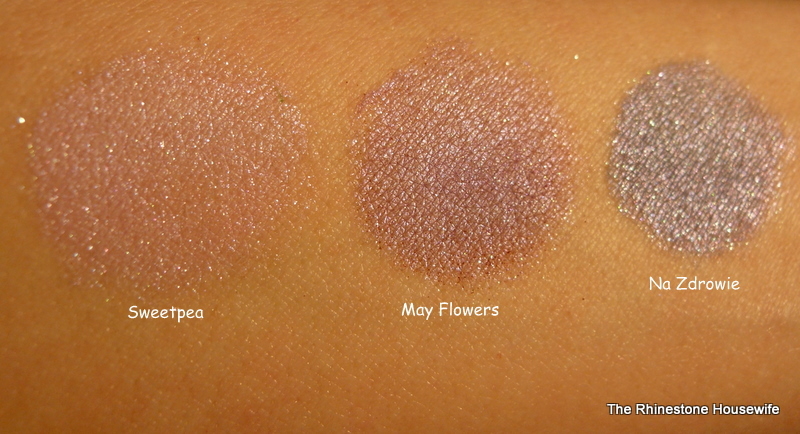 Those are some pretty nice swatches as well! 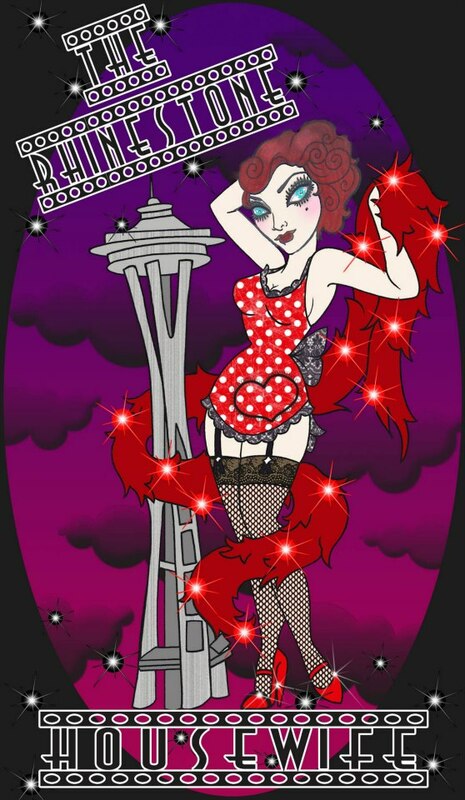 I wanna try umbrella && rain boots! Thank you! Gimli just looooves to help. 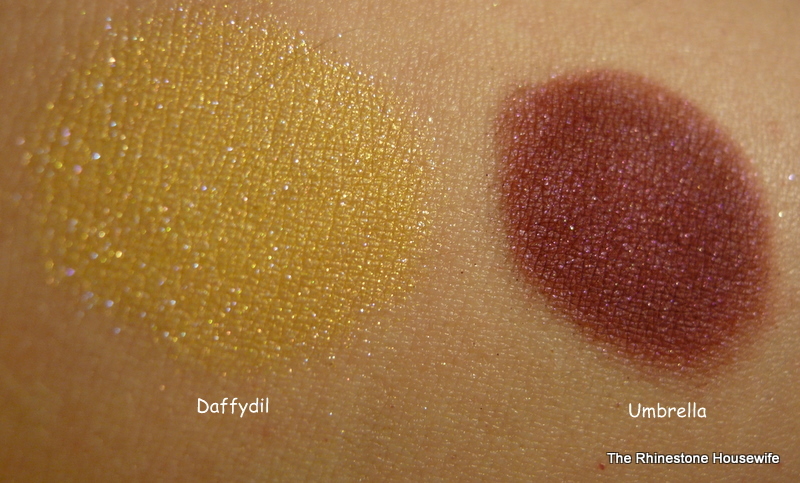 😉 I also love Umbrella and I think I’m going to try that with Daffydil today and see how it looks. PreviousFOTD with My Pretty Zombie Easter Colors!